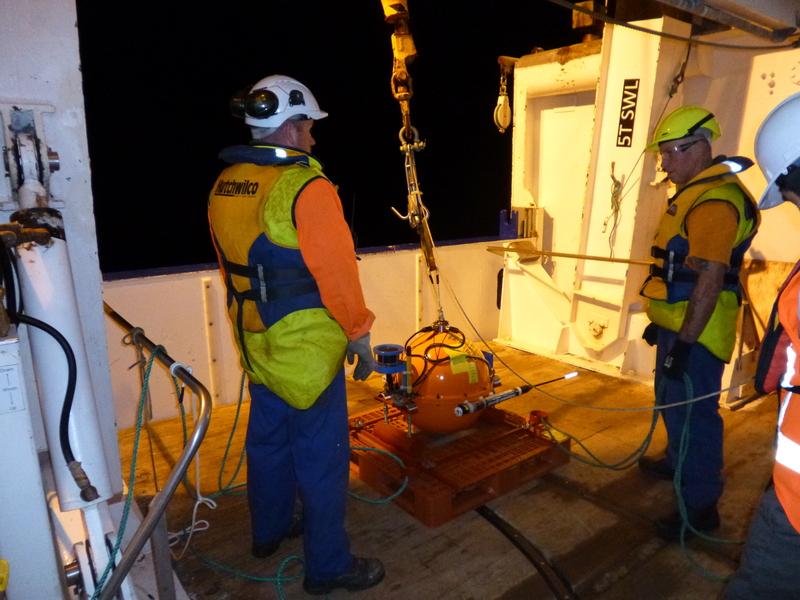 along the plate interface under the ocean floor. 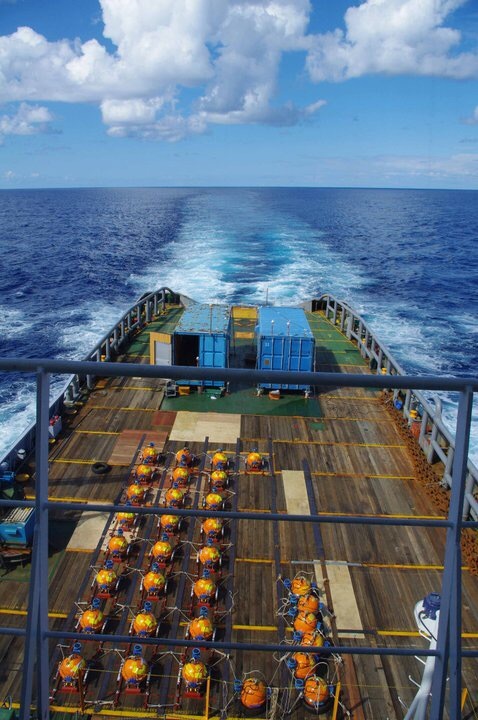 Ocean bottom seismometers (OBSs: orange balls) on deck. ~100 km off Ibaraki Prefecture, Japan.